College football sidelines across the country are featuring everything from wrestling-style robes to boxing gloves as teams conjure up creative ways to reward big plays. 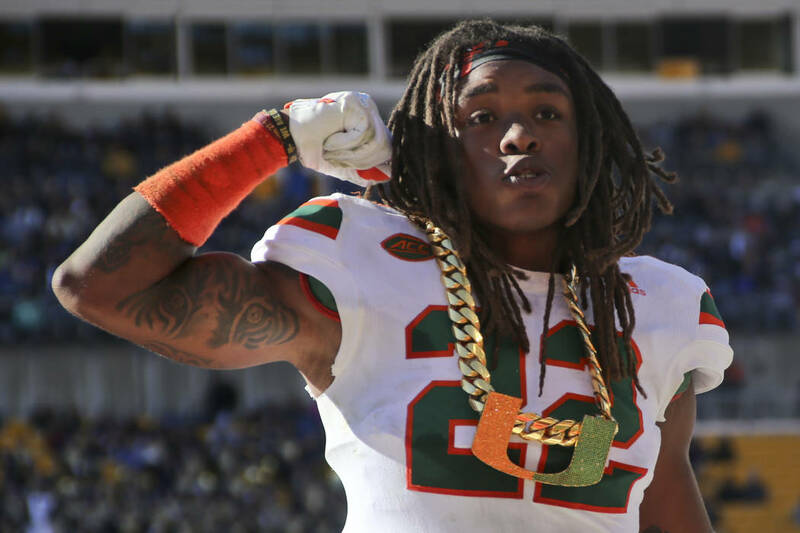 It’s not a new phenomenon, but schools are jumping into the arena and trying to mimic the success Miami had last season with its turnover chain. 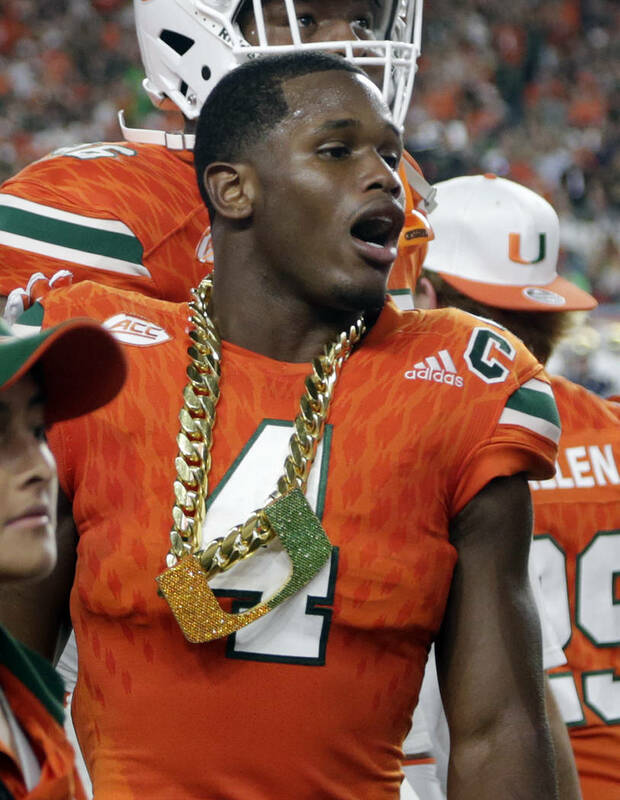 Miami started handing out a gaudy gold chain to players who forced turnovers last year. The chain became an indelible image of the 2017 season as Miami won its first 10 games and reached the Orange Bowl while producing 31 takeaways, matching the third-highest total in the nation. Horton recovered two fumbles Saturday in No. 20 Boise State’s season-opening 56-20 victory over Troy . Those takeaways enabled him to take a seat on the Broncos’ “turnover throne,” a chair Boise State put on its sideline this season. Boise State introduced the throne to defensive players in a meeting before the Troy game. “You had everybody barking, hollering, everyone saying, ‘I want to be the first one on the throne,’” Horton said. Several FBS programs that responded to an Associated Press survey say they are using sideline props this season. 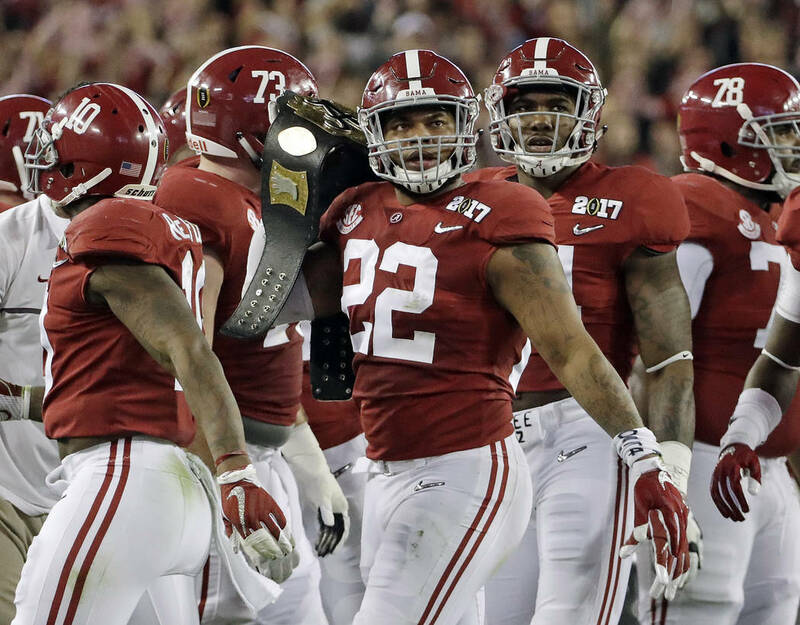 Since the 2015 season, Alabama has rewarded takeaways by handing players a “ball-out belt” made in the style of a boxer’s championship belt. 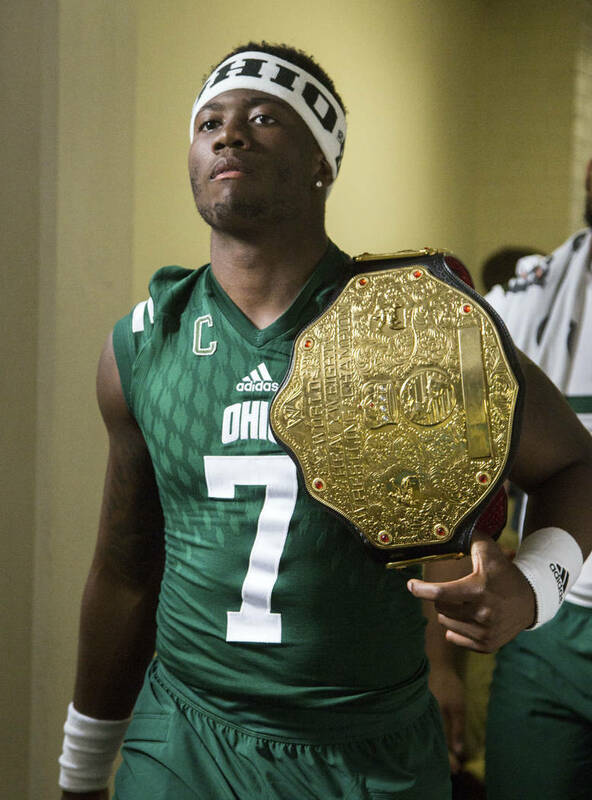 Colorado State and Ohio are among the teams that have since added their own belts to reward turnovers. Memphis introduced its own turnover belt last season but took things to another level this year by adding a turnover robe . T.J. Porter was the first to model the robe after scoring on an interception return in Memphis’ 66-14 blowout of Mercer. “I felt like I looked good, like a new-school Ric Flair,” Porter said, referring to the retired pro wrestler and Memphis native. The belts aren’t restricted to players who force turnovers. 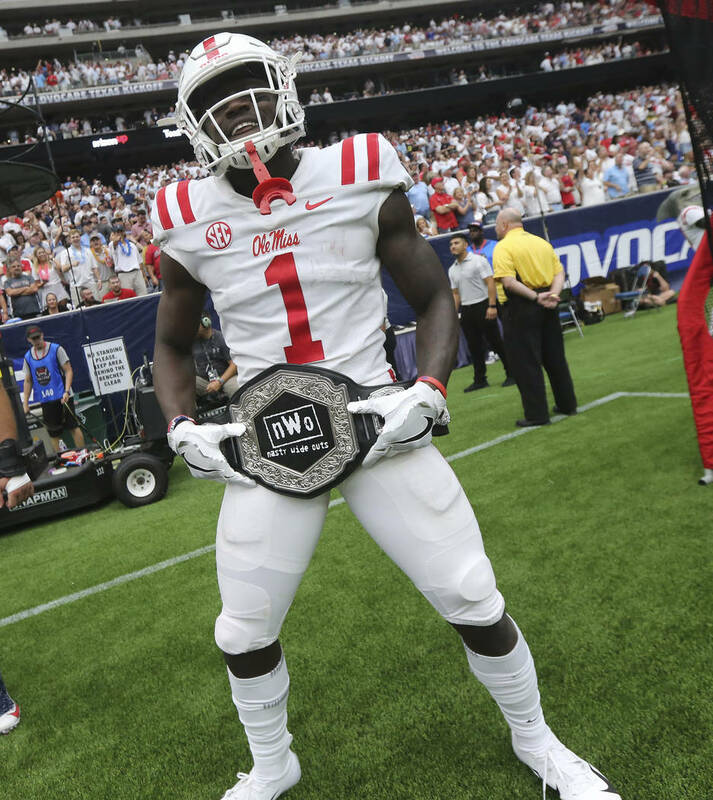 Mississippi receivers coach Jacob Peeler brought an “NWO belt” to his wideouts last year, a nod to professional wrestling’s New World Order as well as the receiving corps’ “Nasty Wideouts” nickname. Receivers often hold the belt after scoring touchdowns. Louisville is rewarding players on both sides of the ball for big plays this season while honoring their city’s most famous athlete . Players who score touchdowns get to try on boxing gloves signed by Muhammad Ali. Cardinals forcing turnovers get to wear a belt that features Ali’s picture. The gloves were donated from Ali’s collection after radio host John Ramsey, a friend of the boxer, contacted Ali’s widow. The belt was donated by the World Boxing Council. Tulane also is saluting its city’s heritage by distributing giant Mardi Gras-style beads to players who force turnovers. Air Force introduced its own turnover chain this year that includes the Falcons’ lightning bolt logo. One of the most unusual sideline celebrations takes place at Temple. The Owls have a dry erase board on its sideline in which players can sign their name after they force a turnover. Temple coach Geoff Collins said he began the tradition 14 years ago as a Western Carolina assistant and has continued it everywhere he’s coached since. “It’s kind of evolved to now they write their Twitter handle (on the board) so they get more followers,” Collins said. Temple added a wrinkle to its celebration routine last year. Now players who force turnovers can hand the ball to any coach or staffer, who immediately must do 10 pushups. The use of sideline props also can backfire, something Tennessee learned last year. Tennessee introduced a turnover trash can in its 2017 season opener, allowing players to dunk the football in a receptacle after forcing a turnover. The trash can was mocked on social media when shots of a staffer holding it aloft appeared on camera repeatedly during Tennessee’s season-opening victory over Georgia Tech last year . Trash-can sightings were almost as rare as victories for the rest of Tennessee’s 4-8 season. That hasn’t stopped programs from using similar props. UTSA and Liberty both have “turnover buckets” for dunking purposes after forcing turnovers, something both teams started last season. Players say the sideline stunts bring more joy to the game. AP Sports Writers David Brandt in Oxford, Mississippi, and Gary Graves in Louisville, Kentucky, contributed to this report.